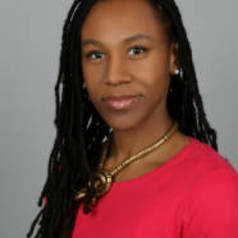 Aisha Phoenix is the Post-Doctoral Researcher on the AHRC-funded ‘Re/presenting Islam on Campus Project’, which is led by the Principal Investigator Professor Alison Scott-Baumann. Aisha has an ESRC-funded PhD in Sociology from Goldsmiths, University of London, Masters in Social Research (Goldsmiths) and Social Anthropology of Development (SOAS), a Postgraduate Diploma in Newspaper Journalism (City) and a BA in Arabic and Modern Middle Eastern Studies (Oxford). Her PhD research was on how Palestinian university students narrate their lives under occupation. Before returning to academia, Aisha worked as a media and advertising reporter at Bloomberg News in London. Her research interests focus on: Muslim young people; perceptions of Islam; anti-Muslim racism, racism generally and colourism (prejudice on the basis of skin shade). In her work, she critically engages with issues of belonging and marginalisation; social justice and approaches to counter-terrorism. She is particularly interested in narrative approaches to understanding social issues. As the post-doctoral researcher on the Re/presenting Islam on Campus project, she is working with the project team to conduct research in four universities and two Islamic Colleges in the UK, exploring how Islam is represented on campus through interviews, focus groups and ethnography with students and staff. Previously, she conducted doctoral research with Muslim university students in the West Bank, exploring how the students narrated their lives under occupation to a foreign researcher. She has also conducted research on belonging in the context of the War on Terror with Somali Muslim young women at a London sixth-form college. Her peer-reviewed articles have appeared in Feminist Review and YOUNG: Nordic Journal of Youth Research.